I have never really struggled with acne, until I became a mom. I figured it was a teenager thing and I had nothing to worry about but boy was I wrong. I typically break out monthly. My cheeks and chin are the main areas of blemishes and well, zits. It's definitely not something I look forward to. I remember being a teenager and watching Proactiv commercials and overhearing my sisters talk about it. Let's just say I was in serious denial to think I would never get acne. 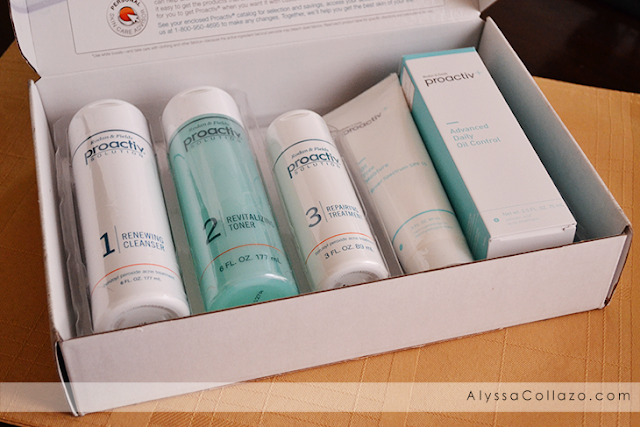 However, my Proactiv package arrived just in time for my monthly blemishes. To say I was pleasantly surprised would be an understatement. When you receive a package that says America's #1 Acne System during your monthly breakout, all you can do is smile, tear open the box and look everything over. Which is exactly what I did. I felt like a kid on Christmas. Everything was packaged perfectly. Did you know, with exclusive microcrystal benzoyl peroxide, Proactiv directly targets acne-causing bacteria and other impurities like oil and dirt, to clear existing blemishes and help prevent new blemishes from forming? I had no idea. And that makes me even more excited to try Proactiv. Now, if you are like me and have sensitive skin. You can usually tell right away when something is going to irritate your skin by the scent. But with Proactiv everything smelled fresh and just like that, my worries were gone. I'm ready to feel good in my own skin again. If I had to tell you one thing I was nervous about it would be.. Removing my makeup and taking a before picture. How do you take a good picture of yourself when you feel uncomfortable? 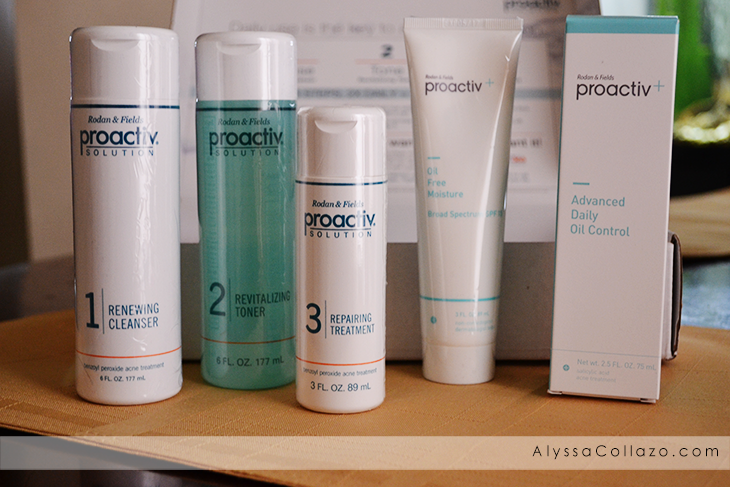 I am definitely ready to start my Proactiv journey and share it with you. To learn more about Proactiv or to try the products for yourself, visit Proactiv.com. Remember, you don't have to be a teenager to benefit. Take it from me. Have you ever tried Proactiv, or wanted to? What are your thoughts about the products? I've never had breakouts, but my son did when he was in high school. He used Proactiv and loved it. It's a great product. Yes, giving birth definitely caused some hormonal changes that led to breakouts for me, too! I've heard such great things about Proactiv! I'd love to try it! I went to a dermatologist for years then I used Pro Active. It works like a miracle on my skin. I would highly recommend it to anyone. I have used it for about ten years and won't trade it for anything. I can imagine being nervous. I've heard some things about this product that are good, and some that are bad, so I'll be interested to see how it works out for you. I've seen a lot of TV commercials about Proactiv. It's nice to hear firsthand that it works so well! I've only heard good about it, so I expect it will go the same way for you. Good luck with the program! I've had acne since I was a teenager. They say you out grow it but not always. I have always heard such great things about this. I know that someday if my kids ever need it, I will be getting them Proactiv. I used to use proactiv all the time for about 5 years but then stopped as the formula for the one supplied in UK is different to the USA one. I actually want to try this. I am way (way) past the acne years but shockingly I still have a few breakouts which can be attributed to stress. I heard that acne can be a problem for women until 40 years old. So this would really be handy. 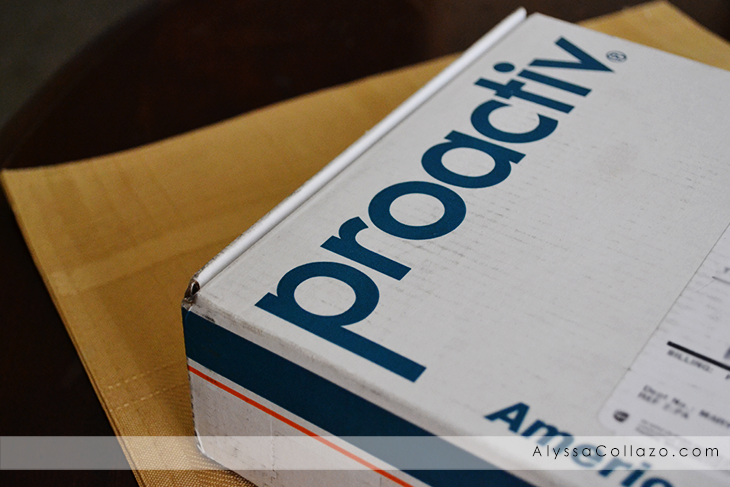 I have never had a problem with acne or blemishes but I have heard great things about Proactiv. Hope you have success with it! I'm almost 40 and I still have breakouts. I've been thinking of trying something like Proactive. I have always had good skin but have heard a lot of good things about Proactive. I used Proactive religiously years ago! I love this product...it really does work! Feels like I will need the power of Proactiv today. Great product! I've never had to use anything for acne, thankfully! But I have heard of people using ProActive and saying it's worked wonders on their skin. Thank you for the review! I have heard good things about Proactive in the past and just that i am yet to try it myself. Looks like something i might have to check out soon. Thanks for sharing!